Diego + Reka said I Do on Kalepa Ridge in Kauai, Hawaii. 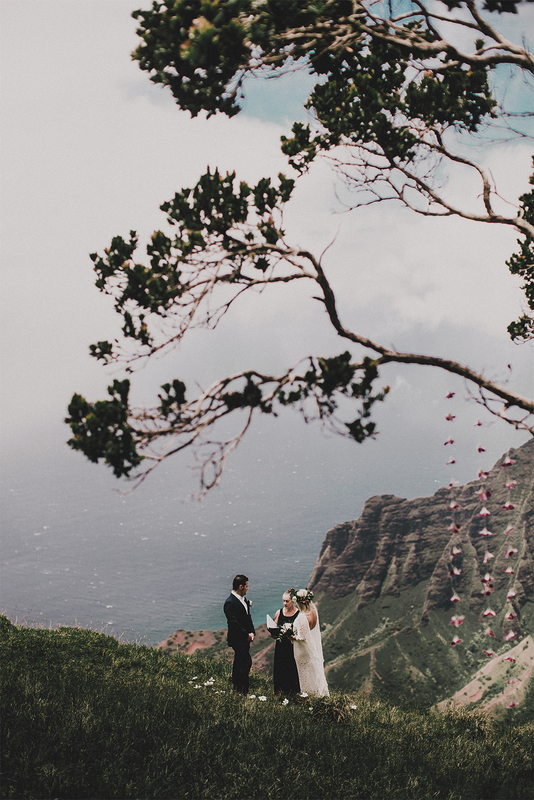 It’s a no brainer that Hawaii is the ultimate elopement locale, but heading off the beaten path in Kauai is oh so different than the typical tropical wedding experience. See 9 more unique locations for an adventurous elopement right here in the US, below!